A. Robinson made Three Point Jumper. Assisted by C. Omogrosso. T. Richardson-Smith made Curry-esque three pointer from way downtown. 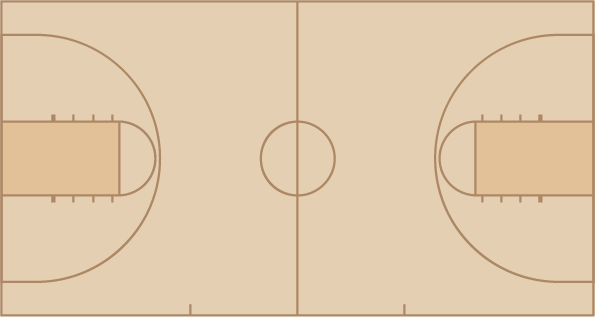 A. Powell made layup on transition. K. Lass made spin-move, fadeaway jumper. Assisted by D. Workman. Dava'Nyar Workman scored a career-high 25 points and ninth-seeded Duquesne used a 15-0 run in the third quarter to pull away for a 97-76 victory over Seton Hall. Kadri-Ann Lass made Three Point Jumper. Assisted by April Robinson. Amadea Szamosi made Jumper. Assisted by Deva'Nyar Workman. Amadea Szamosi made Layup. Assisted by Emilie Gronas. Deva'Nyar Workman made Jumper. Assisted by April Robinson. April Robinson made Three Point Jumper. April Robinson missed Three Point Jumper. Deva'Nyar Workman made Three Point Jumper. Assisted by Amadea Szamosi. Kadri-Ann Lass missed Three Point Jumper. Kadri-Ann Lass made Layup. Assisted by Deva'Nyar Workman. Angela Staffileno made Jumper. Assisted by Deva'Nyar Workman. Angela Staffileno missed Three Point Jumper. Kadri-Ann Lass made Layup. Assisted by April Robinson. Emilie Gronas made Three Point Jumper. Assisted by April Robinson. Amadea Szamosi made Layup. Assisted by April Robinson. Deva'Nyar Workman missed Three Point Jumper. Amadea Szamosi made Three Point Jumper. Assisted by Kadri-Ann Lass. Chassidy Omogrosso made Three Point Jumper. Chassidy Omogrosso missed Three Point Jumper. Emilie Gronas missed Three Point Jumper. Deva'Nyar Workman made Layup. Assisted by April Robinson. Amadea Szamosi made Layup. Assisted by Kadri-Ann Lass. Kadri-Ann Lass made Layup. Assisted by Brianna Thomas. April Robinson made Three Point Jumper. Assisted by Kadri-Ann Lass. Erin Waskowiak made Three Point Jumper. Assisted by Conor Richardson. Tabatha Richardson-Smith missed Three Point Jumper. Tiffany Jones made Three Point Jumper. Assisted by Shakena Richardson. Tiffany Jones missed Three Point Jumper. Aleesha Powell made Three Point Jumper. Assisted by Shakena Richardson. Tabatha Richardson-Smith made Layup. Assisted by Aleesha Powell. Aleesha Powell missed Three Point Jumper. Martha Kuderer made Three Point Jumper. Assisted by Aleesha Powell. Shakena Richardson made Three Point Jumper. Assisted by LaTecia Smith. Martha Kuderer missed Three Point Jumper. Tabatha Richardson-Smith made Three Point Jumper. Assisted by Aleesha Powell. Shakena Richardson missed Three Point Jumper. Tabatha Richardson-Smith made Three Point Jumper. Claire Lundberg missed Three Point Jumper. Tiffany Jones made Layup. Assisted by Shakena Richardson. Jordan Mosley made Three Point Jumper. Assisted by Shakena Richardson. Jordan Molyneaux made Layup. Assisted by LaTecia Smith.